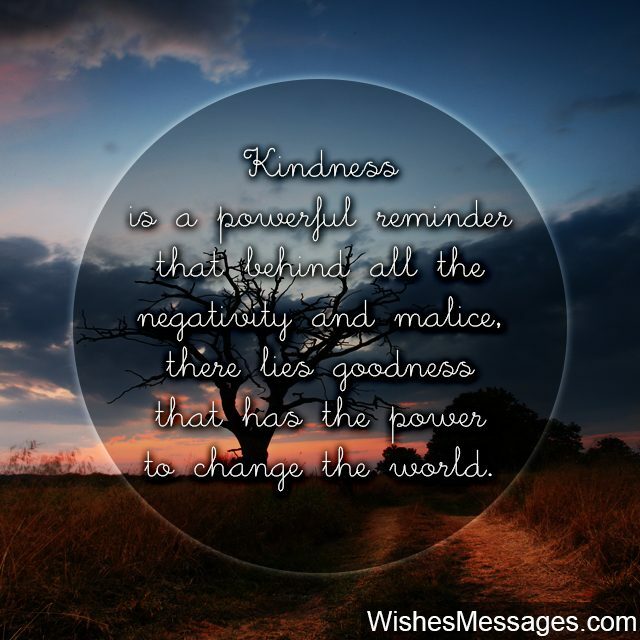 Kindness Quotes and Notes: Don’t know how to say Thank You to someone for being kind? Take ideas from this post and write something magical on a greeting card – whether you’re thanking someone for lending money, helping you through tough times or even something as grand as making a generous donation to a charity. Let your words convey how grateful you are. You can even rant about the inspirational and motivational effect of their kindness on your life. Post your thoughts on Facebook, Twitter, Pinterest and Instagram to spread the message. Good people in this world are far and few, so do all you can to appreciate someone’s random act of kindness – whether it’s happened in our own life or you’ve seen it happen to someone else. Humanity needs to know that there are people out there who believe in the magic of kindness and heartfelt gestures. 1) Kindness is a powerful reminder that behind all the negativity and malice, there lies goodness that has the power to change the world. 2) Looking at how obliged and indebted I am feeling towards you right now, I have realized that kindness is actually one of the greatest weapons any person can ever have. Thank you. 3) Do you know what poverty, inequality and discrimination have in common? Neither of them would exist if all people in the world were as kind as you. Thank you for being so kind. 4) Good people like you are a fleeting reminder that God does exist. Thanks for your kindness. 5) Today I have realized that people who are kind are actually the richest, because they are giving away kindness – something that can never be taken or stolen. Thanks for being kind. 6) Kindness is an investment. 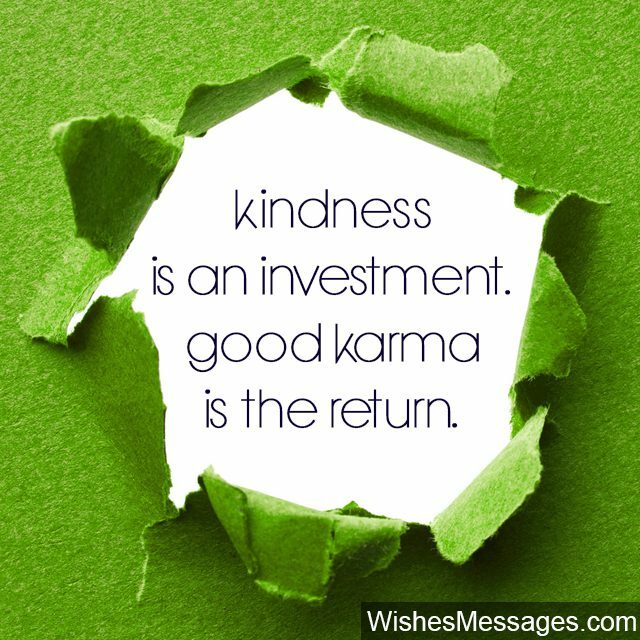 Good karma is the return. 7) Even though you didn’t know me that well, you were kind to me just like how a father is to his son. I will respect you forever and ever, just like how a son respects his father. Thank you for being so kind. 8) Some people have kindness in their minds, others have kindness in their hearts. Some people think about being kind, others talk about being kind. But very few people like you actually do kind deeds. Thank you, the impact of your kindness in my life is nothing short of godliness. 9) Kindness is like a viral YouTube video. Every person who sees it feels like sharing it with others. Thanks for sharing your kindness with me. 10) God answered my prayers by sending me an angel called YOU who blessed me with a miracle called KINDNESS. Thanks a lot. 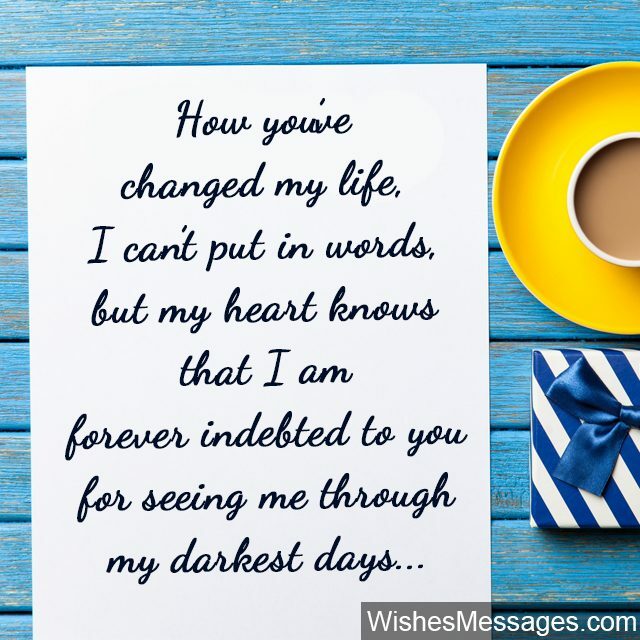 11) How you’ve changed my life, I can’t put in words but my heart knows that I am forever indebted to you for seeing me through my darkest days. Thanks for your kindness. 12) Before investing in infrastructure and technology, governments of the world should invest in educating people about the importance of being kind – a lesson I have learnt firsthand from you. Thanks for being kind. 13) It will be easy to repay the exact amount of money I owe you. But I don’t know if I will ever be able to repay the amount of kindness you showed to me. Thanks for being so kind. 14) Scientists can keep arguing but I am certain that miracles do happen because I have experienced one – your kindness. Thank you. 15) An act of kindness is simple to explain in accounting terms. It is an asset for the giver, a lifelong debt for the receiver and a capital expenditure which will yield permanent revenues in the form of happiness. Thank you for being kind and changing the balance sheet of my life. 16) Be kind to others. 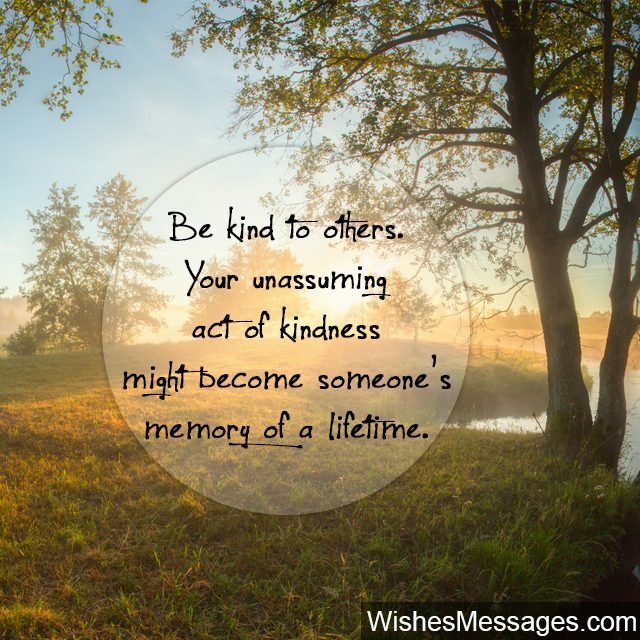 Your random act of kindness might become someone’s best lifetime memory. 17) Sometimes, a single random act of kindness can become the spark that ignites a revolution. 18) The donation that you have made to our charity is Precious, but the kindness in your heart is Priceless. Thank you for being so kind and generous. 19) I am going to thank you for your kindness by spreading the word on Twitter, Facebook and Pinterest. I hope I get many retweets, repins and shares so that more people can follow your footsteps. Thank you for everything, my friend. 20) The value of money is only realized when you don’t have any, and the value of kindness is realized only when others generously step in to help in times of need. Thanks for being so kind. 21) If the whole world was strewn with kind people like you, reasons for violence and anarchy would be very few. 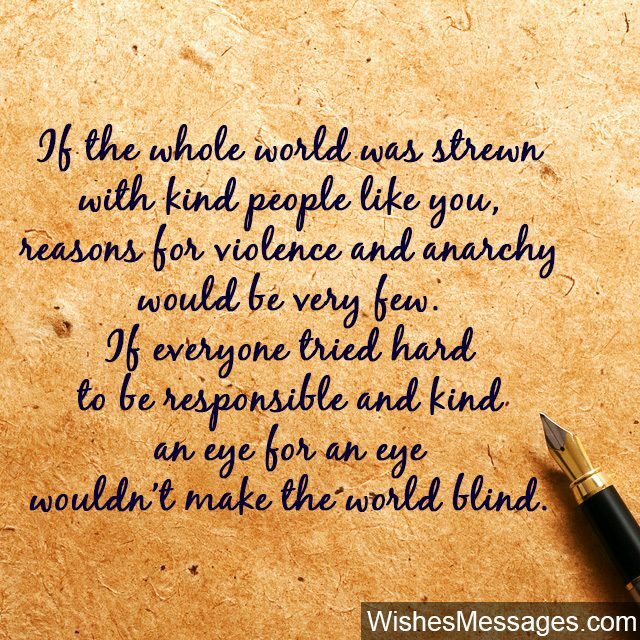 If everyone tried hard to be responsible and kind, an eye for an eye wouldn’t make the world blind. Thank you for being the epitome of a good human being. 22) Ever wondered why random acts of kindness go viral on YouTube? It’s because everyone wishes to do them but few have the heart to. 23) A cold room with steel walls, is what my life would have been without your help. A beautiful meadow at spring time, is what my life has become because of your kindness and generosity. Thank you. 24) I may or may not be able to repay your gift of kindness. But I promise to share it with others so more people can give the magical gift of kindness to make the world a better place. Thank you. 25) Your act of kindness has had a very calculated effect on my life. It has added happiness, subtracted sadness, divided troubles and multiplied my faith. Thanks for being kind. 26) Money makes you rich. Kindness makes you great. 27) Be nice to people. Sometimes, a smile is all it takes to start a chain of kindness. 28) Today I have realized that a real man’s toughness is not seen in a bad attitude and big muscles. It is seen in whether he can show respect, gratitude and kindness. Your actions have taught me this important lesson of life, thanks. 29) I have been angry at you all my life but your kindness has made me realize that my lifelong anger has been futile and wasteful. Thank you for being so kind to me. 30) Everything you have done for me is priceless. Nothing can I ever do, will be enough to repay the happiness that has been infused in my life. But there is something that I want to do right now, which is to say Thank You. 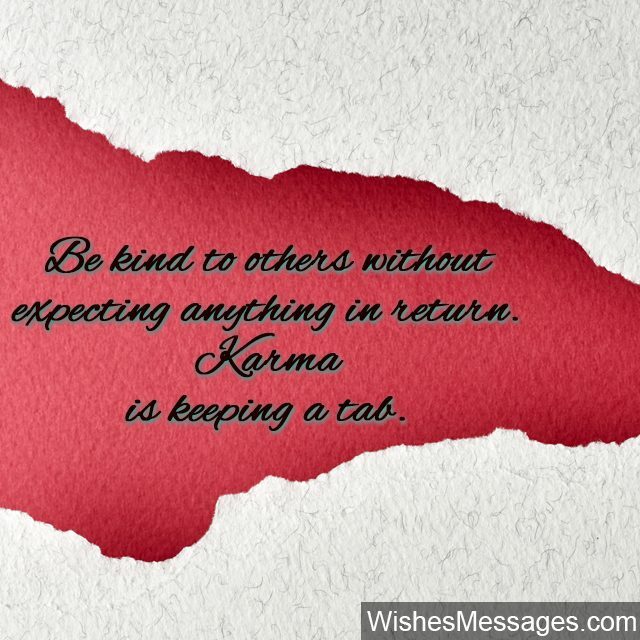 31) Be kind to others without expecting anything in return. Karma is keeping a tab. 32) Kindness may be blind but it is the most eye-opening feeling one can get. Thanks for being kind. 33) If kindness like yours was a personality trait in every President, Prime Minister and leader of the world’s countries, we would have no war and the human race would prosper with happiness. Thanks. 34) People need to understand that whether it is one dollar or one hundred thousand dollars, the act of kindness by itself is priceless. Today, I have understood that. Thanks for being so kind. 35) For you, this may have been a small act of kindness. But for me, it has been a big life-changing helping hand. Thanks for being kind. 36) I have realized that bank account balances mean nothing without the presence of kind people like you in my life. 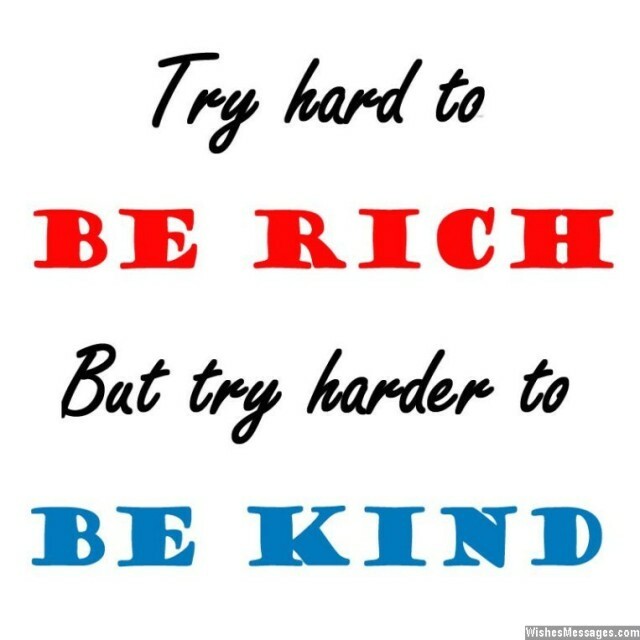 From now I will try hard to be rich, but try harder to be kind. Thanks for being there for me. 37) You may brush away your small act of kindness as routine, but its big impact has given my life a better routine. Thank you. 38) When a person like you decides to show kindness to the less fortunate, he invites better fortune in the form of respect, goodwill and lifelong good karma. Thank you for being so kind. 39) Being at the receiving end of your kindness has made me feel so humble, that I wish someday I can be at the giving end of kindness to others. Thank you for being so kind. 40) If all the top hundred billionaires in the whole world had hearts even half as kind as yours, the earth would be a friendlier and greener place. Thanks for donating for this cause.